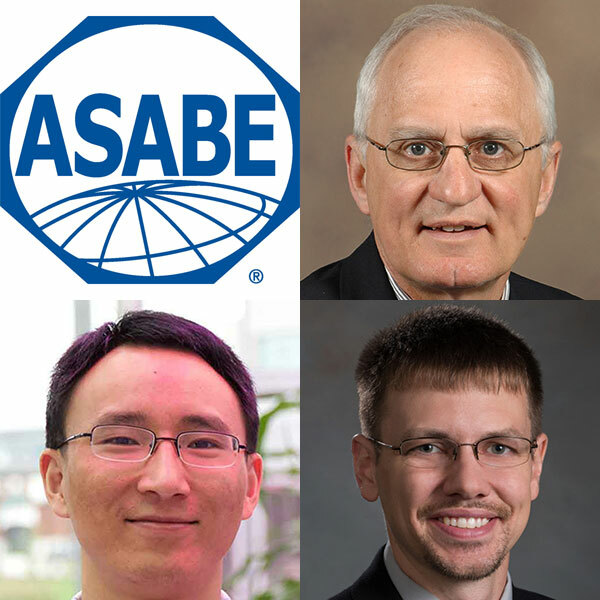 Biological Systems Engineering faculty (clockwise from top right) Dean Eisenhauer, Derek Heeren and Yufung Ge will be honored with awards at Aug. 1 at the ASABE International Meeting in Detroit, Michigan. Three faculty from Biological Systems Engineering -- Dean Eisenhauer, Yufung Ge and Derek Heeren -- will be recognized as major award recipients Aug. 1 at the annual American Society of Agricultural and Biological Engineers awards luncheon. The luncheon is part of the group's annual International Meeting in Detroit, Michigan. Eisenhauer, emeritus professor of biological systems engineering and a consultant to the office of vice president/vice chancellor, will be honored among the ASABE Fellows Class of 2018. The distinction of Fellow is the highest honor bestowed by ASABE. It is given to a "member of unusual professional distinction, with outstanding and extraordinary qualifications and experience in, or related to, the field of agricultural, food, or biological systems engineering." Fellows possess a minimum of 20 years of active practice in, or related to, the profession of engineering; the teaching of engineering; or the teaching of an engineering-related curriculum and a minimum of 20 years as an active Member-Engineer or Member in ASABE. Ge, assistant professor of biological systems engineering, will receive the New Holland Young Researcher Award. The Young Researcher Award recognizes the dedicated use of scientific methodology to discover facts or principles significant to the agricultural engineering profession. Heeren, associate professor of biological systems engineering, will receive the A.W. Farrall Young Educator Award. The Farrall Award, honors ASABE members under 40 years of age for success in motivating others in the application of engineering principles to the problems of agricultural engineering.